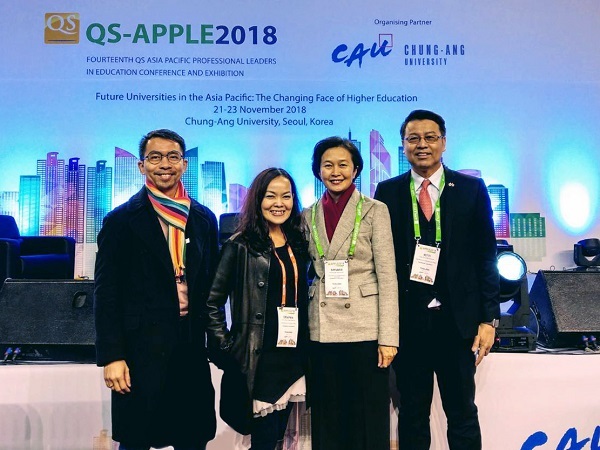 Executives from Thammasat University attended QS – APPLE 2018 at Chung – Ang University, Seoul, Korea during November 21st – 23rd, 2018. On 16 November 2018, H.E. 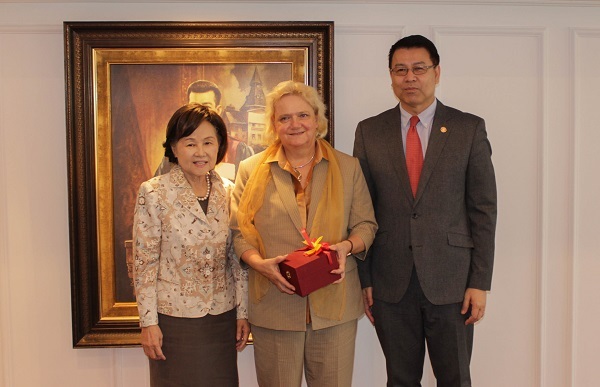 Dr. Eva Hager, Ambassador of Kingdom of Austria to Thailand visited Thammasat University and greeted by Assoc. Prof. Gasinee Witoonchart, Thammasat University Rector and Assoc. Prof. Dr. Kitti Prasirtsuk, Vice Rector for International Affairs. The ambassador proposed an invitation for 150th anniversary of Thailand and Austria Diplomatic Relations and discussed on academic collaboration. Assoc. 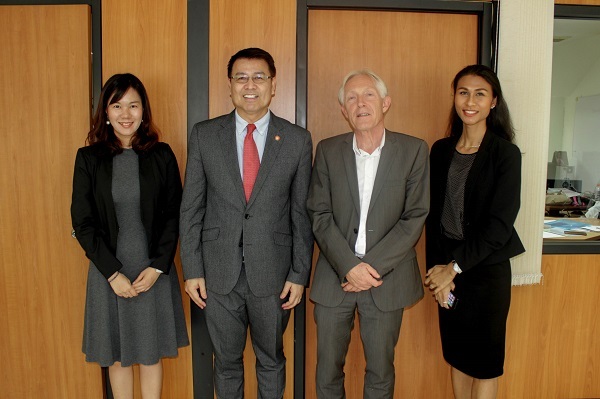 Prof. Dr. Kitti Prasirtsuk, Vice Rector for International Affairs welcomed Dr. Han Aarts, Director of Maastricht University Centre for International Cooperation in Academic Development MUNDO visited Thammasat University. This visit aimed to discuss on specific exchange agreement for convenience in student exchange in the future. Moreover, both sides discussed on joint agreement and double agreement which will discuss on further details once again. On 15 November 2018, H.E. Mr. Tshewang Chophel Dorji, Ambassador of Kingdom of Bhutan to Thailand visited Thammasat University and greeted by Assoc. Prof. Gasinee Witoonchart, Thammasat University Rector, with Assoc. Prof. Dr. Kitti Prasirtsuk, Vice Rector for International Affairs and Mr. Sukit Utintu, Associate Dean for Cooperate Communication and Social engagement of Puey Ungphakorn School of Development Studies. This visit aimed to discuss on academic collaboration and the conferment ceremony Honorary Doctoral degree upon H.M. King Jigme Khesar Namgyel Wangchuck. 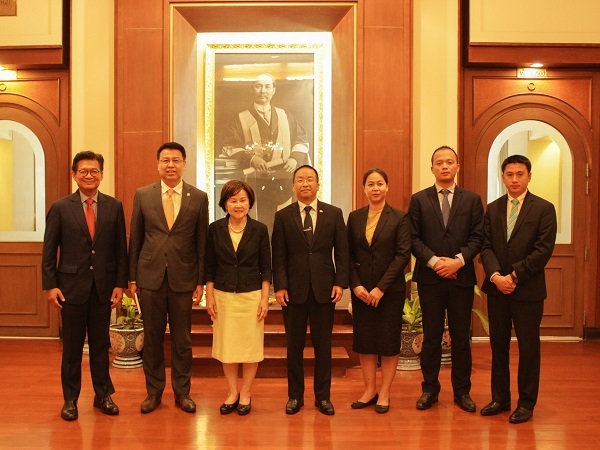 On 12 November 2018, Prof. Dr. Hiroshi Shirai, Vice President from Chuo University, visited Thammasat University. Greeted by Vice Rector for International Affairs Thammasat University, Assoc. Prof. Dr. Kitti Prasirtsuk. This visit aimed to discuss about student exchange program, Japanese students in Thailand trend, and academic program for Thai students. Assoc. Prof. Dr. Kitti Prasirtsuk welcomed Br. Joaquin Severino S. Martinez, FSC D.Min, President and Chancellor, and executives from University of St. La Salle. University of St. This visit discussed about student exchange program for both short-term and summer program. And met with Prof. Maxim Khomyakov, Deputy Director for Strategy, research and internationalization from National Research University Higher School of Economics, Russia. Both sides discussed academic collaboration and student exchange program.